Check out my review to learn more.. 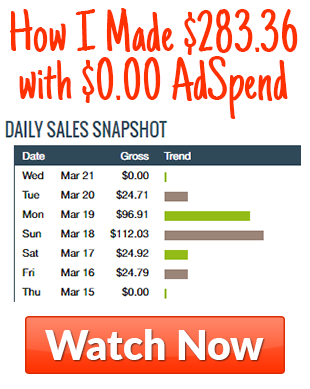 These are 2 extra ways to make money online. They work especially good with the affiliate revival and are great ‘side-kick' to help you get more results faster. Inside the Aff Revival, Kobi is going to show you how to set up the facebook pixel. However, the way he's showing you is a little complicated and a lot of people can get lost doing it. Inside this bonus I'll show you the EASY way to correctly set up facebook pixel. On top of all the secret hacks they show you inside the training, I’m going to show you ONE more way to double or even triple your profits with Affiliate Revival. THIS IS NOT COVERED INSIDE THE TRAINING. I’m going to show you how to get anywhere from 500 to 1000 high quality clicks to your website completely for free. The original price would be around $150 to $250, but I have a very cool trick to get them for free. This is going to kickstart your Passive Income Machines and get you sales just couple of hours after you finish the course. The method inside the Aff Revival requires you to have some kind of a page builder, inside this bonus I'll show you how to get a TOP pagebuilder for just $5. This will instantly save you over $70! Hi Erik, did you ever check the sound in your videos? Impossible to understand anything. Pls fix the matter. I have low volume settings on my laptop and medium on youtube and I can fully understand the video. Sounds pretty much the same as any other video, could you please double check if it’s not your fault? Tak to je fakt, trosku hlasnejsie keby to bolo – ale da sa to pocut…. diky za review. You just need to work on it for like couple of weeks – as if you did with your job.